The importance of place in Julianna Barwick's music cannot be overstated; both the feelings and emotions we are capable of projecting onto our surroundings, and the memories and moods that our surroundings are, in turn, capable of evoking within us. 2011's The Magic Place made this explicit. Named for a tree she played in as a child, its gorgeous soundscapes spun gently outward until they took root, conjuring all manner of feeling and emotion themselves. 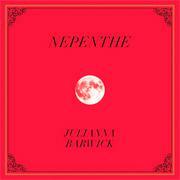 Nepenthe marks a series of firsts for the Brooklyn artist. A handful of collaborations aside, it is her first album to be created with other musicians, and her first release on Dead Oceans. Following an invitation from Sigur Rós producer and affiliate Alex Somers, it is also her first to be recorded outside the confines of New York, instead taking shape in Somers' Reykjavík studio earlier this year, where string ensemble amiina, múm guitarist Róbert Sturla Reynisson and a teenage female choir all lent their hand. Its name is drawn from ancient Greek literature, wherein nepenthe is a medicine for sorrow - a drug that aims to wipe out grief and sadness through forgetting. Barwick suffered a death in the family while recording the album, and her coming to terms with this loss is reflected over its running time. As such, song titles such as 'Offing' and 'The Harbinger' certainly paint a bleaker picture than The Magic Place's 'Prizewinning' or 'Bob In Your Gait', but this turns out to be misleading. The ripples of static upon which 'The Harbinger' makes its entrance, for example, soon make way for Barwick's serene vocals, a redemptive piano figure and strings that hover delicately in the background, before the song culminates in rich, choral tones that imply understanding and acceptance - the dissonance present at its outset supplanted by something warm and human. Barwick makes light of the visceral, "seriously emotional" nature of the songs she pieced together for the album in its press release, and, although for the most part wordless, many here present and explore a concept that can be picked up on without ever coming across as ornate or studied. 'Crystal Lake' is a sustained exercise in ascension: waves of harmony colliding with woozy ivories that ease the song ever higher. It is an enormously moving, beautifully textured piece of music, and one that takes on further ballast set against elegiac album closer 'Waving To You'. 'One Half', meanwhile, cloaks Barwick's vocal in clouds of reverb that eventually dissipate to reveal something as limpid and lovely as it is initially nebulous, and there is a moment a few minutes into 'Forever' - a lift - that might be the most stirring, elegant thing Barwick has yet put to tape. From thereon the song only becomes more bracing, as the choir eddies and swirls into myriad coalescing fragments and the piano - as it tends to throughout - props up and bolsters proceedings, which recede and end to the sound of a door being closed (or opened). But as much as Nepenthe documents its maker's struggle with bereavement, it is also an album that wouldn't exist as it does were it not for the wintry beauty of the country it was birthed in. "Your eyes can't believe what they're seeing," Barwick has said of Iceland. "I walked home one night and got totally lost in Reykjavík. I ended up walking alongside the ocean – and it was glowing blue. It looked like it had a lamp underneath it." Iceland, of course, has pedigree when it comes to producing elemental, dreamlike music. (As an aside, it was also while ambling dazed and jet lagged through its capital that Neil Gaiman came up with the central conceit of his very much elemental, very much dreamlike novel American Gods.) Barwick, significantly, recalls being blown away by Sigur Rós in concert eleven years ago, when the band would have been fresh off the back of landmark albums Ágætis byrjun and ( ), two records that are something of a piece with Nepenthe. Barwick's third album also shares personnel with the latter by way of amiina, but what both have in common is more a feeling, a sense of wonder. There was little doubt that the follow-up to The Magic Place would be anything less than a beautiful, contemplative work - Pacing, the very fine, piano-based 7" she released earlier this year suggested as much - but Barwick has gone one better here. In taking her sorrow, turning it on its head and finding inspiration in another magical place, she has produced something powerfully, uniquely transcendent: something vast and expansive, intimate and affecting all at once.